Have you ever wondered how to replace a sash, fix the roller on your patio slider door, or repair a ripped screen? Here, you can find an assortment of “How To’s”, “DIY” tutorials, and walk through videos to help you better understand the solution to your problem. Need A Window Sash Replaced? *When purchasing new windows, make sure to keep all stickers and information on the window itself. Keeping these stickers allow the window manufacturing company to find your purchase order, and to retrieve the exact fitting replacement sash for that window. 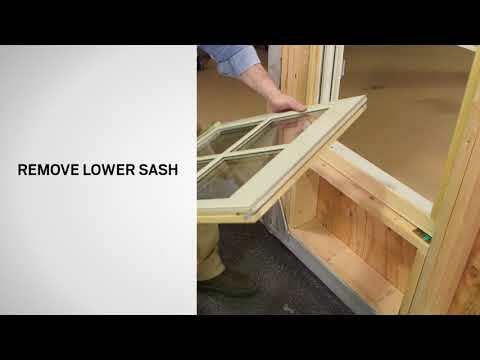 Replacing a window sash can take time. With manufactures getting new warranty submittals every day, we want your experience to be as smooth as possible. Every time a window is installed in your home a sticker comes on it – it’s usually located in the top header of the window track. Making sure you keep all the stickers that come on the windows can alleviate some time in the process. A homeowner is able to submit a warranty through the company that installed the windows or by directly contacting the window manufacturing company. How Do I Remove A Window Sash? Many homeowners get windows installed and may not know how to remove or install a window sash. Learn how below! 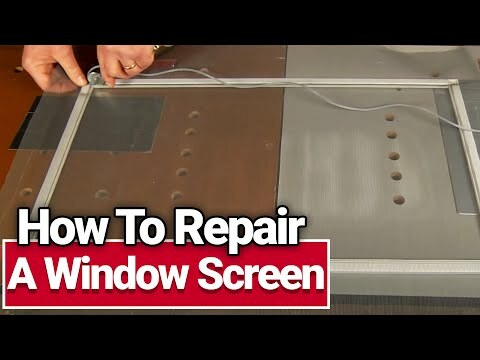 If you are looking for a way to clean the outside of your windows, you need to first tilt the window sash back, angled, and away from the frame. Second, you are going to lay the sash down at your waist level. Then, you are going to lift one side of the window corner closest to the frame. You will lift this side of the window sash higher than the opposite side and proceed to remove it from the frame. If you prefer visual references, our vendor Silverline Windows by Andersen Window has a tutorial video showing you in detail, click on the following video. How Do I Replace a Ripped Screen? Screens tend to face some harsh weather and overall poor treatment in general – especially if you have kids or pets in your home. Sometimes they age and get old naturally over time or and sometimes they just rip. Watch this instructional guide from ACE Hardware before you run out to buy a new one! 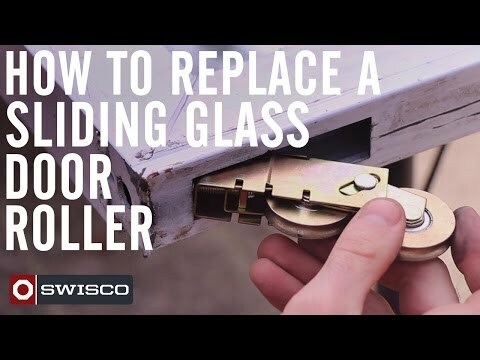 How do I Replace the roller on my patio slider door? Do you need to adjust the rollers on your patio slider door? Learn how below! Some people assume because their door is not operating properly that it means the patio door needs to be replaced. That is not true. If the door is not operating correctly, for an example, the door isn’t rolling on its tracks the way it should be, you may need a replacement wheel. Purchasing a replacement wheel and taking an hour out of your day can save you hundreds of dollars. Watch this video from Swisco, and learn how to solve this problem today! How Do I Fix The Handle On My Casement Window? Fixing the handle mechanism on your casement window can be a little bit intimidating. It’s not though, and you could do it yourself – and of course, save some money! As long as you have the make and model of your casement window, we can get the replacement part you need! Learn how to replace and repair your handle mechanism on your casement window. Don’t see what you’re looking for? Give us at 781-821-2220 or send us an email by heading over to our contact form.